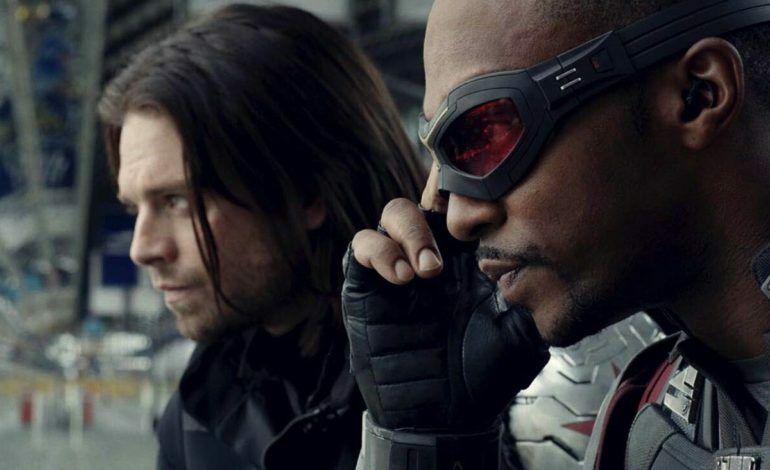 Looks like Marvel heroes Falcon and Winter Soldier will be teaming up for a potential limited series at the Disney streaming service, which will be written by Empire writer/executive producer, Malcolm Spellman. Sam Wilson, (a.k.a. the Falcon), debuted in the comics in 1969. He was a former United States Air Force pararescue airman who left active duty, choosing to begin helping his fellow veterans who were suffering from PTSD at Veterans Affairs. During this time, Wilson met and became an ally of Captain America’s during the beginning of the HYDRA Uprising. They soon chose to remain together for future missions. Falcon had assisted Captain America in his search for Bucky Barnes in order to try and save him from the brainwashing which turned him into an assassin. Following the events of Ultron, Falcon was recruited into becoming a member of the second incarnation of the Avengers, in which he remained assisting Captain America in his search for Barnes. He continued to be an active member of the Avengers until he chose to side with Captain America in violation against the newly formed Sokovia Accords in Captain America: Civil War. In the aftermath of the battle, Wilson was arrested along with his teammates but was soon freed by Captain America as they were forced to become vigilantes on the run. Most recently, Wilson was thrown into another situation when Earth was attacked by Thanos who sought to claim the Mind Stone embedded in Vision. The Falcon made history with his debut as he was the first African-American superhero. The Black Panther had arrived three years earlier in the Fantastic Four series but he was born on Wakanda’s foreign soil. In the Marvel films, Falcon and the Winter Soldier are both military veterans and each a close friend of Steve Rogers, (a.k.a. Captain America) but friction and mistrust mark many of their interactions. Both Falcon (Anthony Mackie) and Winter Soldier (Sebastian Stan) have appeared in numerous Marvels films. 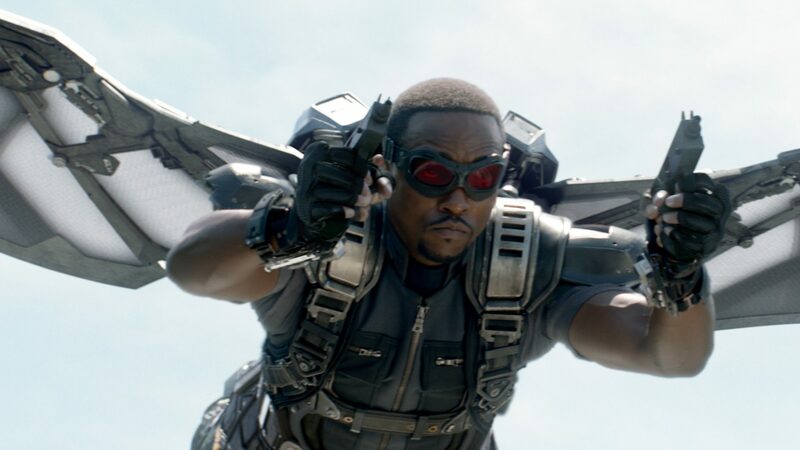 Falcon appearing in Avengers: Infinity War, Ant-Man, Captain America: Civil War, Avengers: Age of Ultron, and Captain American: The Winter Soldier. Mackie’s other credits include The Hurt Locker, The Adjustment Bureau, Million Dollar Baby, and The Hate U Give. The Winter Soldier (a.k.a. Bucky Barnes) was best friends of Steve Rogers as well as his battlefield compatriot in the second World War. In the comics, Bucky was introduced in 1941 as the son of a soldier killed in training at U.S. Army Camp Lehigh in Virginia. When he was a kid, he became sort of a mascot for the camp and quickly befriended the awkward pre-injection Steve Rogers. Bucky developed a deep admiration for Captain America and was astonished to find out the Captain was Steve himself. He underwent extensive physical training and eventually became Captain America’s partner/sidekick. He was killed off in the 60s due to being too old-fashioned for that particular era. The Winter Solider backstory didn’t arrive until 2005, however. Bucky started as a kid from Brooklyn, and after saving Steve Rogers from getting beaten up by bullies, quickly became his best friend. Bucky enlisted in the Army during WWII and over a year later, when on a mission with Captain America and the rest of their commando unit, Bucky literally falls to his death into a freezing cold river. The identity of Captain America was never revealed to him, until in Captain America: The Winter Soldier. In the cinematic universe, he became the Winter Soldier when HYDRA operatives found him frozen in the river in which he had fallen, reviving him and bringing him back to their base. What was left of his left arm was amputated and a bionic one put in its place. He was completely brainwashed and reprogrammed in order to be the Winter Soldier, a highly-trained and dangerous assassin. As in the comics, the Winter Soldier was cryogenically frozen in between missions, which accounts for his youthful appearance. 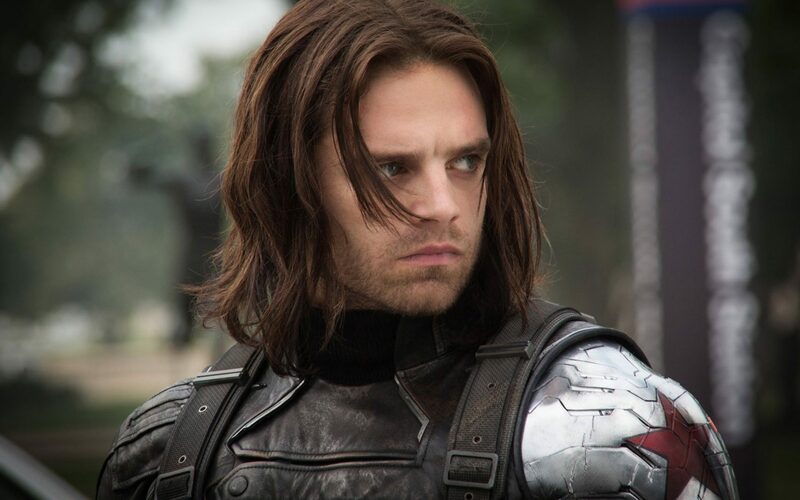 Winter Soldier has appeared in Avengers: Infinity War, Black Panther (uncredited), Captain America: Civil War, Ant-Man (uncredited), Captain America: The Winter Soldier, and Captain America: The First Avenger. He will also be featured in an upcoming untitled Avengers film, the release date being unknown at this time. Stan has also been seen in Logan Lucky, The Martian, Once Upon a Time, and I, Tonya. Marvel Studios President, Kevin Feige, is overseeing the initiative- being the continuity of the story and the handling of the studio’s big-screen talent- which is keyed toward limited-run TV shows (typically six- to eight-episode story arcs) to dig into the stories of fan-favorite Marvel characters that don’t have already their own film franchises. This, of course, applies to Falcon and Winter Soldier. Other rumored characters looking to be getting a spinoff are Loki (Tom Hiddleston) and Scarlet Witch (Elizabeth Olsen). The Disney streaming service will utilize fare from Pixar, Walt Disney Animation, and Lucasfilm. It’s unclear if the Marvel series would have similar multiple directors. Variety was the first to report on this project.